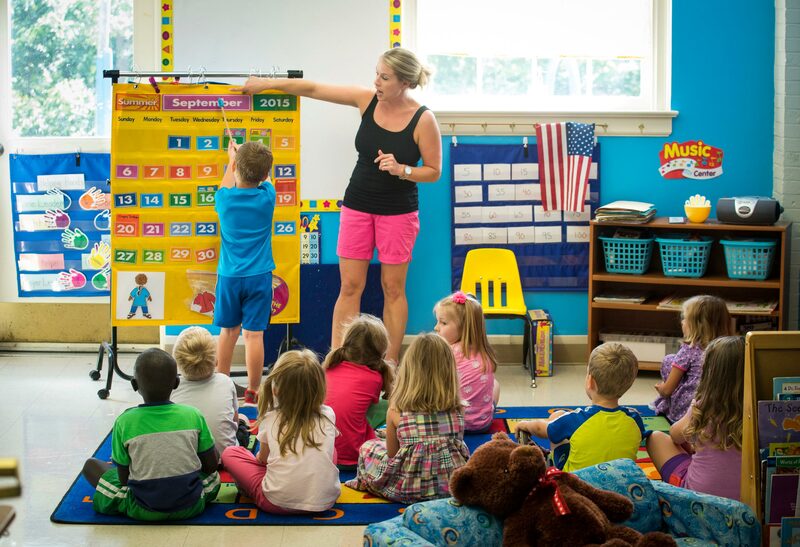 The Starmount Preschool Staff of 8 quality and qualified teachers and assistants has well over 120 years of combined preschool teaching experience. To stimulate learning for each child, teachers use a “theme” curriculum and developmentally-based activities. We believe in accepting and celebrating children where they are in their development as they learn and grow! Our staff is led by Preschool Director Cindy Lee. Cindy has over two decades of experience working with children in a variety of educational, church, recreational, and preschool environments. Cindy worked as a teacher at Starmount Preschool before she became the director in 2007. Additionally, all staff members receive CPR/First Aid training in conjunction with the American Red Cross, and develop their skills through a variety of continuing education workshops and opportunities throughout the year.